Each photograph comes with caption information and commentary by the author in English. Nearly 190 monochrome photographs included in this book have been taken during a period from 1968, before the formation of ‘Happy End’ (Haruomi Hosono, Takashi Matsumoto, Eiichi Ohtaki, Shigeru Suzuki) until their break-up toward the end of 1972. 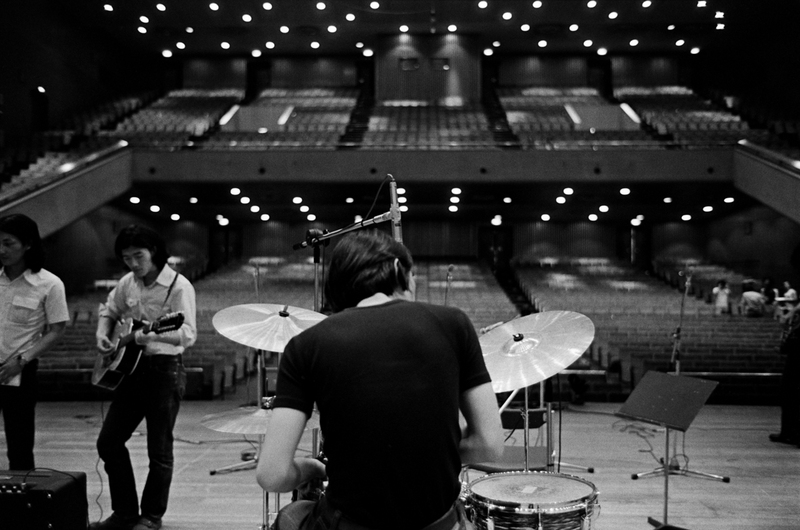 Hanging out with his fellow Rikkyō University classmate Haruomi Hosono, Masahiro (Mike) Nogomi privately photographed the members of ‘Happy End’ and other musicians at their live concerts, studio recordings, and backstage, all of whom would go on to become important figures for the Japanese music scene. 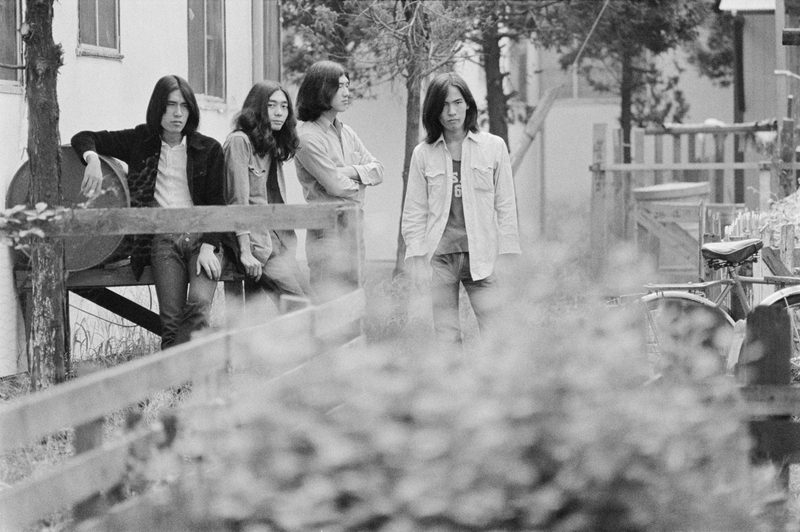 Being there by way of his connection with Hosono, Nogami was frequently capturing people yet to enter the spotlight and has preserved this period as a document of extreme value. The University of Chicago’s Michael Bourdaghs, also a fan of ‘Happy End,’ writes in the book preface, “What strikes me about this collection is how quiet the images feel.” This sentence alone makes us aware of the very unique charm of Nogami's photographs taken at this time. He seems to be trying to light up the value and importance of seeing the turmoil and clatter of this era in another way, a period that radically swung both culturally and politically from the late 1960s to the early 1970s. Through Nogami, we will meet aspects of the city and people carefully captured in silence. 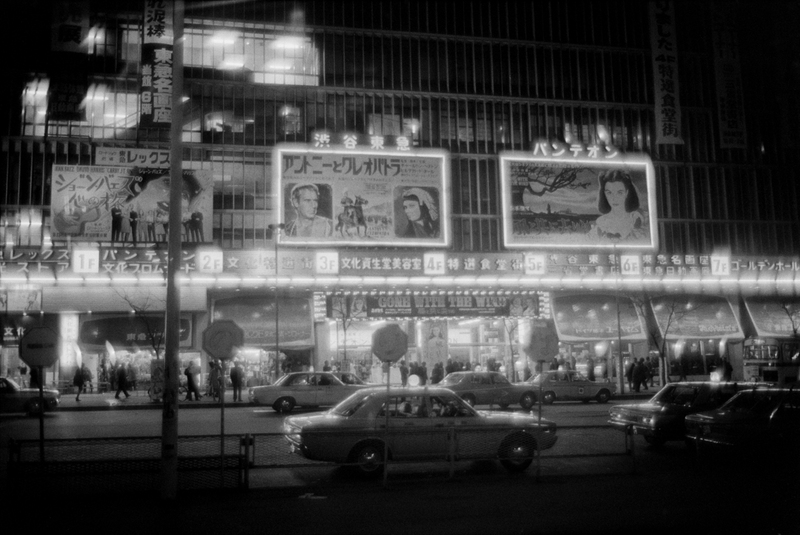 Images arouse the best sort of nostalgia in those who know that time with all of the street scenes of half a century ago, be it a couple walking on a backstreet of Nihonbashi, an early morning in Omotesando where crowds are few, the Tōkyū Cultural Center in Shibuya (now Hikarie) home to several cinemas, a Roppongi cafe at night, a Shinjuku disco with jukebox ... and for those who were not even born yet, they show something new, almost inviting a step back in time. The title is taken from Joni Mitchell’s 1970 album “Blue”. Nogomi at this time was dejected and said he pent everyday feeling anxious. He was going out in the city with friends and having a good time precisely because of his ‘blue’ mood. 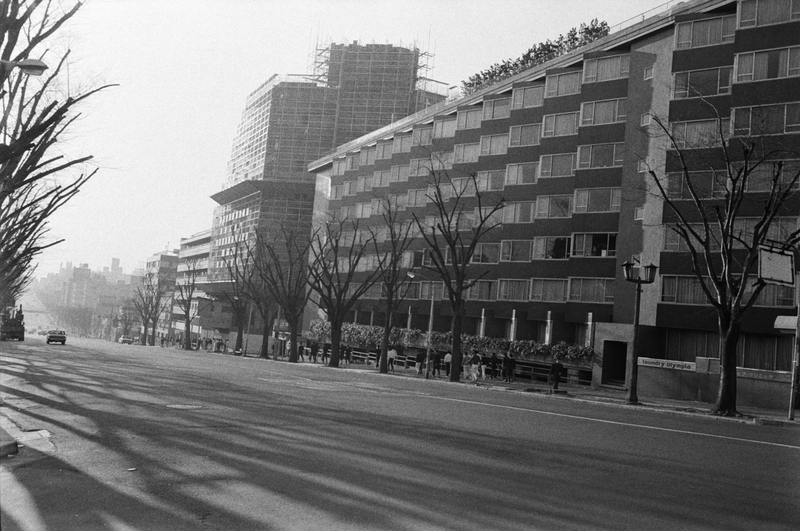 For Nogami, as someone who chose not to find work with the future promise of a company, or take part in the political movement, taking pictures every day while aiming at being a photographer might have been a way of tracing his reluctance and desire for something he couldn't see. 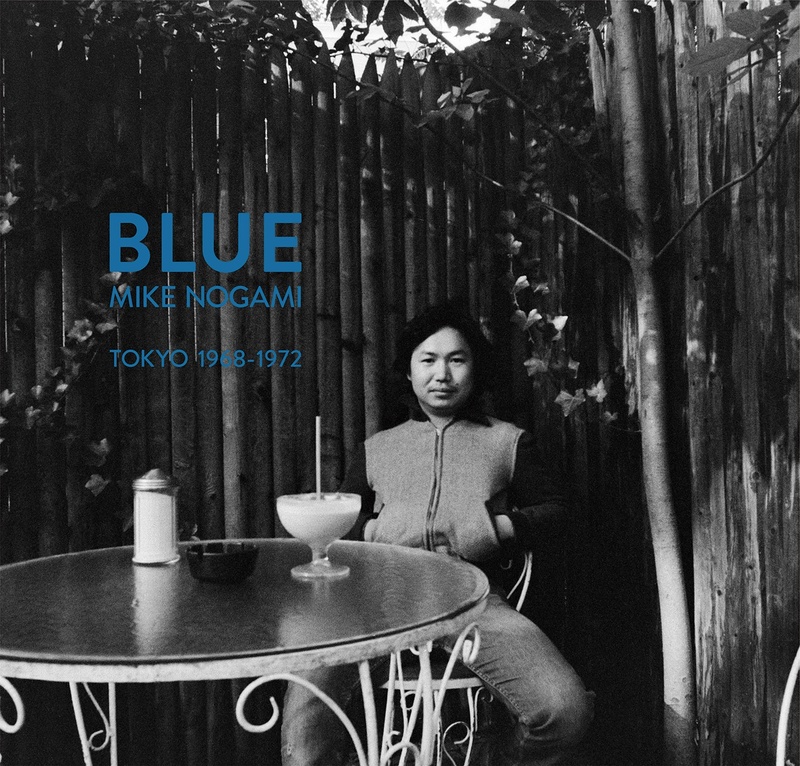 Nogami moved to the United States in 1974 and would later go on to spend nearly three decades in New York. 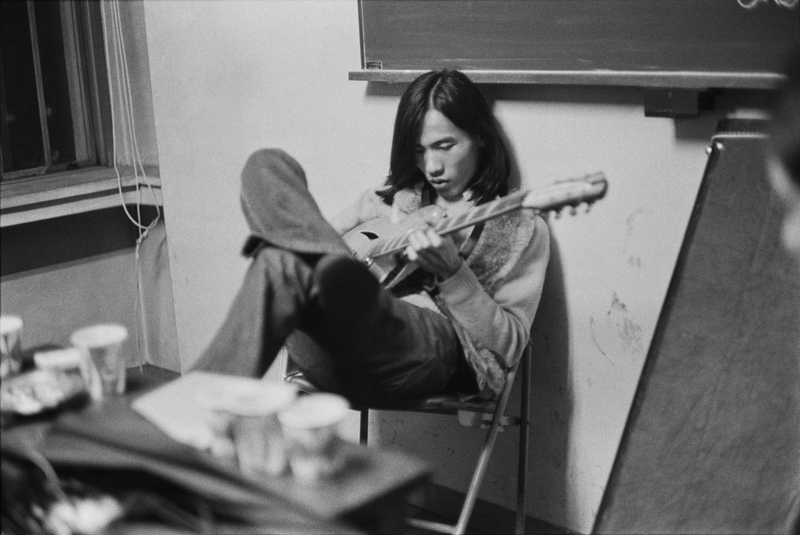 The cover photo of this book is Nogami at a Georgetown cafe´ in Washington DC in November 1974, a year and a half after his leaving Tokyo. Born in 1947 in Tokyo. Graduated from the Department of Sociology at Rikkyō University in 1970. After working at the photo studio, from 1971, he worked for photographer, Masayoshi Sukita and became a free-lance photographer in the following year. He moved to Los Angeles in 1974 and after living in Virginia and Washington DC, moved to New York City in 1978. In 1984 he opened Fujiyama Papa, a photo laboratory in Greenwich Village. In 1994 he closed the lab and returned to Tokyo. Moving to New York again in 2000, he returned to Tokyo in 2015 where he now lives and works.